The Oakland Tech PTSA Grant Program provides critically needed financial resources that support and enrich the learning, growing and flourishing of the Bulldog community. Before you apply, please review the Grant Guidelines and Frequently Asked Questions detailed below. You’re also encouraged to check out recently awarded grants for inspiration and context. All qualified applications will be considered. There are four grant types — mini, maxi, sports and technology. If you are unsure which category your application(s) falls under, please contact the PTSA Grants Administrator at grants@oaklandtech.com. Grant applications are reviewed by separate committees. Up to $500 is available for enhancement materials or experiences for OT students or staff. Equipment purchased with grant funds is the property of Oakland Tech. Mini-grant applications are reviewed by an ad hoc body appointed by the PTSA president. Recommendations are submitted to the Executive Board for initial approval and then to the PTSA membership for final approval. Up to $3000 is available for enhancement materials or experiences for OT students or staff. Maxi-grants can provide funds for projects and campus improvements that do not have alternative sources of funding. Maxi-grants may also serve as “seed” money, allowing for matching grants or additional funds from other sources. Capital improvements funded by maxi-grants allow for enhancements that can be enjoyed by the larger community. Maxi-grant applications are reviewed by the PTSA Executive Board and recommendations are submitted to the PTSA membership for final approval. Both mini-grants (up to $500) and maxi-grants (up to $3,000) are available for OT team equipment and supplies. Equipment purchased with grant funds is the property of Oakland Tech. Equipment must be catalogued and returned to the school at the end of the season. Sports grants are reviewed by Tech’s Athletic Director and members of Tech’s Sports Booster Club, and then submitted to the PTSA Executive Board for approval. Both mini-grants (up to $500) and maxi-grants (up to $3,000) are available for OT technology purchases not covered by other funding sources and needed to enhance learning. Equipment purchased with grant funds is the property of Oakland Tech. Serial numbers or other identifying information must be reported to the Technology Committee Chair. Technology grants are reviewed and decided upon by the Technology team. Applicants should be able to provide a detailed list and cost estimate for all items in the application. Grants will not be awarded to reimburse monies already spent. In most cases, the PTSA will not fund requests for individual items of clothing that become the property of students. One individual may submit multiple grant applications, and individual grant applications MUST be submitted for each unrelated item. For example, a grant request to fund a field trip should not include classroom supplies. Each must be submitted as a separate application to be considered. Multiple field trips must also be submitted individually. There is a fall and spring cycle for PTSA grants. The fall application deadline is 10 PM on the last Thursday in September. The spring cycle deadline is 10 PM on the last Thursday in January. The PTSA does not review requests for funding outside of this timeline, as available funding for grants is established during the annual budgeting process. To be considered for a PTSA grant, you must complete an online application. Late or incomplete applications will not be considered. Applicants may be contacted during the review period for follow-up and clarification. To be considered for a PTSA grant, you must be a member of the Oakland Tech PTSA. Teachers, students and staff can join the PTSA at a reduced rate. You can apply for PTSA membership online here. PTSA executive board members, their spouses and partners may not apply. Student applicants must have an adult sponsor. Teachers must first talk to their department heads and/or principal (classroom supplies) or the Athletic Director (sports requests) to see if there are alternative sources of funding. PTSA members, including parents, may apply for a grant to lead a school project. However, project expenses are limited to materials costs and outside consultants, and can NOT include a stipend to the PTSA member for their services. Successful applicants may apply for future grants, but are not guaranteed approval. Proposals will be evaluated by the selection committee based on criteria, impact, need and thoughtfulness. Applicants agree to write a report or summary on request, or to give a verbal report to the PTSA about how their work was accomplished, how money was spent, and the difference the grant made. The selection committee for maxi-grants is the PTSA Executive Board. Mini-grants are reviewed by an ad hoc body appointed by the president of the PTSA and submitted to the Executive Board for approval. Sports grants are reviewed by the Sports Booster Committee and submitted to the Executive Board. Technology Grants are reviewed and decided upon by the Technology Committee. All bodies evaluate and prioritize applications according to the criteria listed below. The Executive Board and the PTSA membership make the final decisions. The mini-grant selection committee is comprised of no less than three, and no more than nine members. To avoid conflicts of interest, the selection committee members must not be mini-grant applicants or a principal participant of an application for funding. Award decisions approved by the membership are final. However, applicants are welcome to resubmit their requests during the next application cycle. If you have been approved for a grant, you may “spend” your grant funds by purchasing or paying for services yourself, requesting the PTSA pay the vendor directly, or have another individual (a parent or other PTSA member) pay and be reimbursed for the goods or services. 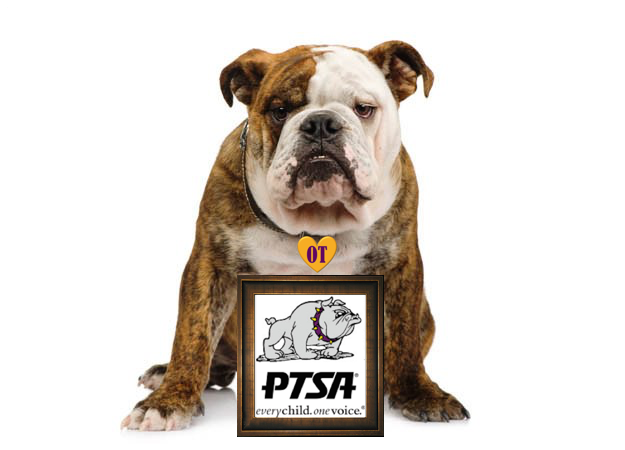 To obtain a check, complete a PTSA Check Request form and submit it to the PTSA treasurer. Check requests may be submitted via email to treasurer@oaklandtech.com or through the PTSA box in the main office. All PTSA Check Requests must be accompanied by receipts. Allow 2 weeks for check request processing. The PTSA Check Request is available under Forms and Documents in the Parents Section of the Oakland Tech website. Fall funding awards must be spent and reimbursement requests submitted before the last Thursday in January, or an extension must be requested and approved prior to that date. Spring funding awards must be spent and submitted for reimbursement before the last day of the school year. There are no extensions for spring grant awards. These dates will be reiterated in the award emails. Failure to submit a PTSA Check Request by the stated deadline will result in forfeiting the grant. I don’t have estimated costs or a budget. Will my request be considered? No. However, a list of estimated expenditures is adequate. The more detail you can provide in a line-item budget or list of anticipated expenses, the better. Do I have to be a member of the PTSA to submit a grant request? Yes. Every request must be submitted by a current, paid member of the PTSA. You can join the PTSA here. My spouse is on the PTSA executive board. May I submit an application? No. Neither PTSA board members nor their spouses or partners will be considered for PTSA grant awards. Requests similar to the one I am submitting have been funded in the past. Does that ensure I will be funded? No. Every grant cycle is unique, and all requests are considered with the submissions of that cycle and the funds available at that time. I was awarded a grant in the past, but I did not use the money. Will that affect my chances of receiving funding? It might. It is helpful to explain the reason in your current submission. There is a question near the end of the application for you to include any relevant additional information. I’m a teacher at Oakland Tech. Are PTSA grants an option for me? Yes, but first be sure to talk to your department head or the athletic director and look at other sources such as the Principal’s Fund, Title I, Measure N, DonorsChose.org, etc. I am submitting a request that can be funded through other OT sources. Will I be considered? No. Please redirect your request to the appropriate OT source. If you have requested funding from other sources but were declined, indicate it on your application. PTSA grant funds are limited, so requests that can be funded through other sources but have not been submitted to those sources are not likely to be funded until other options have been exhausted. I have submitted another request to another funding source. Will this hurt my chances of receiving a maxi-grant? Probably not. In fact, one goal of maxi-grants is to serve as seed money for other funding efforts. If other funding becomes available eliminating the need for the maxi-grant, please inform us of your success. If I receive a grant for equipment, does it belong to me? No. All equipment purchased with PTSA grant funds becomes the property of Oakland Technical High School, and items must be reported to the school secretary to be logged on your personal equipment list just like keys or any other school property. What if I don’t spend all the money I received in the cycle? Can I use it in the following school year or for something else? No. Fall funding awards must be spent and reimbursement requests submitted before the last Thursday in January, or an extension must be requested and approved prior to that date. Spring funding awards must be spent and submitted for reimbursement before the last day of the school year. There are no extensions for spring grant awards. I’ve received a grant. Now what? First, congratulations! Information about reimbursement or payment and what to do next is addressed in your award email. I’ve received a mini-grant and a maxi-grant. May I combine or shift funds from one to the other? No. Funds must be spent on the items listed specifically in each grant award, and are not to exceed the amount of the award. No transferring of funds from one grant award to another. I’ve read through the maxi-grant application and this FAQ and still have a question. Who do I contact? Contact the grants administrator at grants@oaklandtech.com or a PTSA board member with any additional questions.